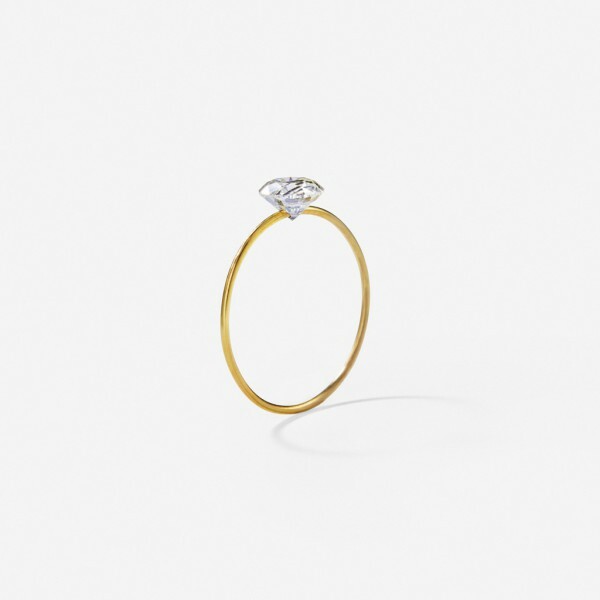 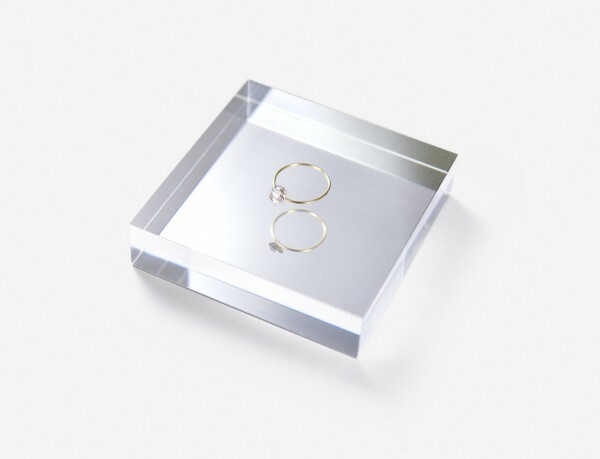 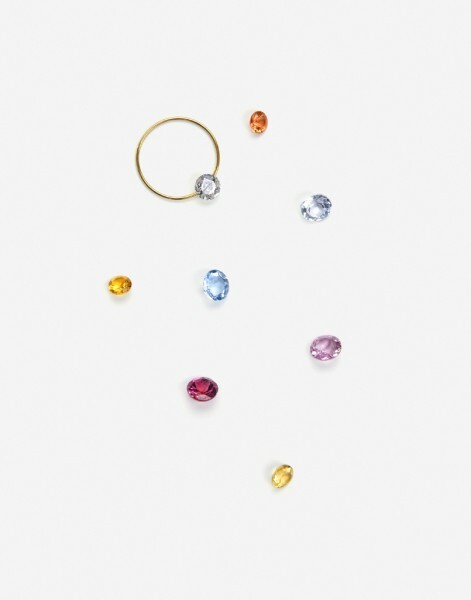 We designed a simple “solitaire (meaning, a piece of jewelry)” ring made with the combination of a diamond, the most solid gemstone, with a laser pierced hole and the very thin gold band. 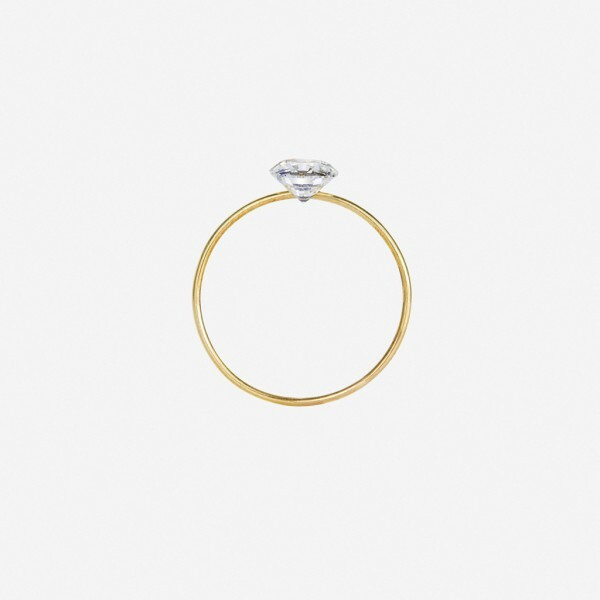 The thinness of the ring's band allows the diamond to appear bigger. 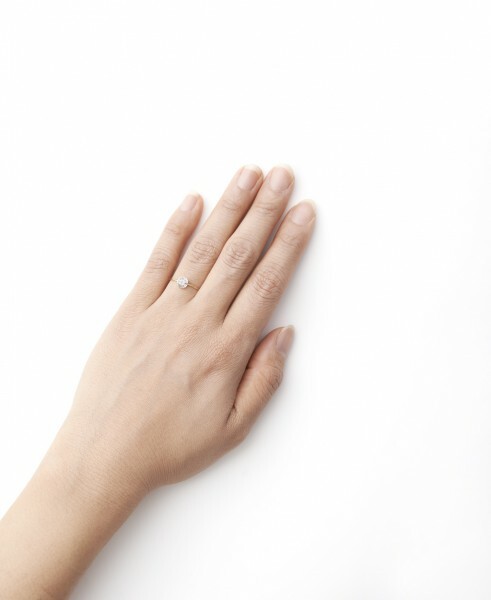 You can also create your own ring by selecting other kinds of stones and band materials.